Fall 2018, new release: “Life is Sweet, Savor it: Things I’ve Learned Along Life’s Way.” An eclectic collection of haiku, short poems, musings, quotes and other thoughts by the author, along with photo art. 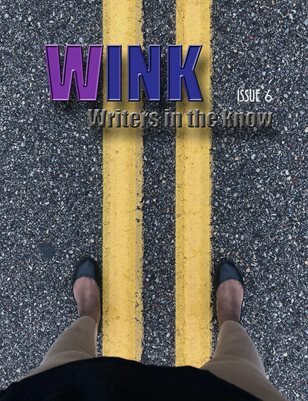 Friday, July 27, 2018: Book Signing and Meet the Editor event for WINK: Writers in the Know magazine at the Dayton, Minnesota Farmer’s Market at Raintree Plaza, 11311 Dayton River Road. June 2018: Nadia and Lynn make appearances on two TV shows to talk about WINK: Writers in the Know. First up was our visit with Jennifer Ray on The Pulse. Then a few days later, we appeared on It’s a Woman’s World. October 24, 2017: That’s Odd TV show’s viewing audience is growing. Co-hosted by Nadia Giordana and Lynn Garthwaite, the show is on the air in the Minneapolis/St. Paul metro area via LMCC ch 12, SPNN ch 15, and BCAT ch 16, YouTube, and online. July 2, 2017: WINK: Writers in the Know comes to life. Combining the best of Nadia’s two previous lit mags, Poetry in Motion and Mississippi Crow magazines, WINK promises to be the best yet. Conceived in mid-June, the magazine took shape rapidly, with an overwhelmingly positive response from former contributors and readers. Release date: August 1, 2017. June 1, 2017: Nadia teams with Lynn Garthwaite to produce and host a new community TV show titled, That’s Odd. Click here to see the latest episode. TOTV Prime Directive: To seek out life’s little desserts, slices of the lighter side, mini escapes from reality and things that make you say, oh! January 2017: Nadia joins Michael Rossberg as co-producer for It’s a Woman’s World and Generations where she has been (and will continue as) guest coordinator, co-host, substitute moderator, social media and PR director, webmaster, and floor director/cat herder. June 2016: Nadia debuts as host on QC Cooks for QCTV, Champlin, Minnesota. April 2016: Nadia joins M. Rossberg as co-producer of Women of the World. To see episodes click here. October 3, 2015: Nadia guest-hosts on It’s a Woman’s World (IAWW) TV Show and is now a regular co-host. August 9, 2015: Nadia guest-hosts on IAWW TV. To see the show, click here. June 28, 2015: Nadia demonstrates how to make Quinoa and Kale Patties on IAWW TV. To see the segment, click here. April 26, 2015: Nadia guest-hosts on IAWW TV, Surviving Sexual Assault. To see the segment, click here. April 26, 2015: Nadia shares her method for making smoothies with co-hosts Junita Cathey and Uma Janga.To see the segment, click here. April 20, 2015: Nadia guest-hosts two segments on IAWWTV.org: Backyard Composting and Women in Theater as Directors. To see the show, click here. March 28, 2015: Bloomington Writer’s Festival and Book Fair 10:30 a.m. to 3:30 p.m., Nadia will be meeting, greeting, signing books. Look for her exhibitor table #10. Admittance to the book fair is free to the public. December 29 2014: Nadia guest-hosts on It’s a Woman’s World (IAWW) TV Show. Click here to see the episode. December 2014: Nadia debuted as host/moderator on Generations. Please watch! October 2014: Nadia makes a guest appearance on Generations (the show dedicated to helping people 50 and better lead happy, healthy, and productive lives). She shares how, after age 60, she developed, hosts, and produces her own community-focused TV show. May 9-10, 2014: The Refine Conference for Women, Hilton Airport Inn/Mall of America. Nadia will participate in the panel discussion (Health & Wellness): Challenge, Choice, Courage. Join us as we keep it personal with ourselves, others, and God seeking to REFINE our lives. March 22, 2014: The Bloomington Writer’s Festival and Book Fair: 10:30 a.m. to 3:30 p.m., Nadia will be meeting, greeting, signing books. Look for her exhibitor table. January 24, 2014: The Marsh Wellness Center, Minnetonka, Minnesota, 7:00 p.m. Evening program, speakers, book signing. Nadia joins author Joan Kennedy and 10 other women featured in the newly released Amazon best-seller, Unlocking the Secrets of Successful Women. November 2013: Nadia is one of the success stories featured in “Unlocking the Secrets of Successful Women” by Joan Kennedy. Released November 13, 2013. October 2013: Nadia appeared as a co-host on two episodes of “It’s a Woman’s World” at SPNN TV in St. Paul, Minnesota. To watch, click here. April 30 2013: 50+ Primetime Living Expo – Treasure Island Resort and Casino – Tuesday 1pm-8pm. I’ll be speaking as a guest of Lori Campbell at 1:30 pm and spending the afternoon and early evening in the “Awaken Your AgePotential” booth where my books will be available. April 2013: Nadia is interviewed (the second guest, about 15 minutes into the program) on the St. Paul Neighborhood Network (SPNN) public access TV Channel 15 program, “It’s a Woman’s World” hosted by Bonnie Watkins and Susan Strauss. April 23, 2013: Nadia speaks to the Women’s Home Extension Group, Little Falls, Minnesota. March 9, 2013: Carver County, Chanhassen Library (guest speaker with Lori Campbell) about Awakening Your AgePotential. February 26, 2013: Smart Women Talk Radio interviews Nadia Giordana. Joining the conversation with Nadia Giordana and Vicky Trabosh was Lori Campbell, author of Awaken Your AgePotential. January 10, 2013: Nadia Giordana is interviewed on AgePotential TV (Interviewer, Lori Campbell). January 8, 2013: Nadia presented “Reinventing New Chapters in Your Life at Any Age” Business Book Connections Meetup, Minneapolis, MN. December 6, 2012: Nadia interviews Dr. Ethelle Lord about Alzheimer’s on BlogTalkRadio. November 27, 2012: WomanVision TV Episode #2 Reclaiming Happily Ever After . Nadia interviews Barb Greenberg, author of Hope Grew Round Me and After the Ball.” This program will also air on LMCC TV Channel 12. November 13 and 14, 2012: Nadia is guest speaker at Lori Campbell’s “Awaken Your AgePotential” presentation to healthcare team professionals at Lyngblomsten Services. October 16, 2012: Episode #1 Interview with Author Lori Campbell. Host Nadia Giordana talks with visionary gerontologist, Lori Campbell of AgePotential.com about her new book, Awaken Your AgePotential. September 15, 2012: Spoke about publishing and how to use CreateSpace.com at Women of Words (WOW) Writers Workshop held at the Loft Literary Center in Minneapolis, Minnesota. View a short video clip here. August 23, 2012 Champlin-Dayton newspaper. Dayton, Minnesota resident pens motivational life strategy guide for baby boomers. July 30, 2012: BlogTalkRadio interview along with Lori Campbell on Read My Lips, aka RadioRed. Subject: Being happy and aging well. July 27, 2012: Book launch event at Two Rivers Music Festival: view video clip. July 19, 2012: Article appeared in Morrison County Record about Nadia’s book launch. Kay, do a search on the Internet for Amorphophallus konjac to learn more (assuming this is the one you have).